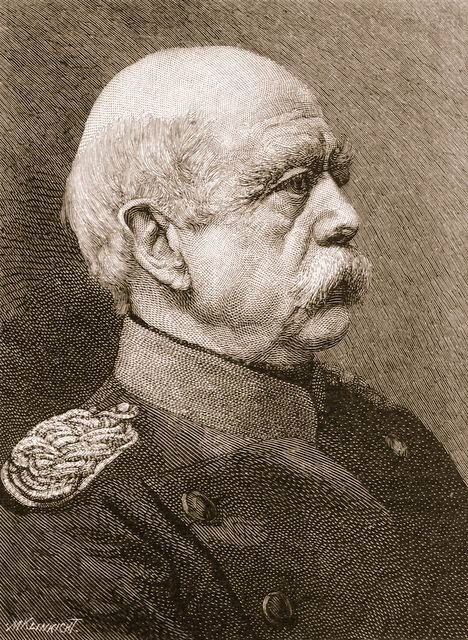 The modern Prussian police state was built by Bismarck and others in the 19th century on a Spartan model, giving the central government vastly greater control over the individual than had ever been considered possible before. From government control of the schools to health care, the whole idea was to create an obedient populace that would man the factories and produce large and obedient broods for the armies without every questioning the orders of the central authority. Bismarck’s program centered squarely on insurance programs designed to increase support for the ever larger and more powerful government. The program included health insurance, Workman’s Compensation, disability insurance, and old-age retirement pensions, all innovations at the time. Starting with the model of Prussian compulsion schooling, American “educators” starting with John Dewey and Edward Thorndike eagerly imported this Prussian model to America. Trained to accept such state control (and now the new “Green” religion) in the schools for most of the last century, then made dependent on government insurance programs (Social Security, Medicare) as surely as the pimp makes sure his young ladies are dependent on the needle and the fix only he can provide, slavery to the state soon appears inescapable, even ordained by God and nature. And remember -- the majority of folks you meet in your daily rounds are perfectly fine with theft and force being the organizing principles of society. Wrap your mind around the consequences of that fact now.